See to Yourself. 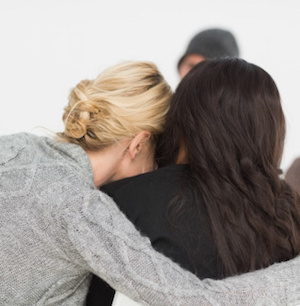 It may seem an odd way to start but it’s important that you understand the level of frustration and sheer hard work that can go into supporting a depressed friend. Misery is easily passed on so you must take time for yourself and carry on with your own life and interests. See to Them. Your depressed friend will be looking at life in the most negative terms. They won’t see the point in anything and they may well be beating themselves up. You may not see all this as quite a lot is going under the surface. My second tip is for you to support anything or anyone that encourages them to seek treatment. Don’t Try to Solve Their Depression. It’s often very tempting to try and brush away concerns or to drive a coach and horses through their view of the world. These challenges may simply make them feel more inadequate or angry. Just be a friend. Listen to them without judging and without giving direction or attempting to solve their problems. Listen. There may be times when your friend won’t talk to you. That’s just how it is. Don’t storm off - just be with them. When they do talk, encourage them to work out what needs to change or what they might do to improve their own situation. Stay in Contact. It’s possible you aren’t able to see your friend every day. That’s fine. Maybe your job or circumstances don’t allow this. A text, a phone call, an email breaks into their isolation and let’s them know you’re thinking about them. Be Patient. You may find there are days when your friend seems to be in a lighter mood only for the clouds to descend shortly afterwards. Depression can be like this so it’s important you don’t see it as a form of manipulation or act of self-centeredness. Don’t Snap. Without realizing it you may have your own agenda as to whether their mood has gone on long enough. You’ve bitten your tongue, you’ve put up with their insults, and you’re frustration is rising to the surface. It takes just one more thing to tip you over and this is the danger point. If you point the finger of blame you’ll undo a lot of what you’ve achieved so far. If you’re at this point, return to Tip 1. Meds Take Time. Antidepressants aren’t like pills for headaches or indigestion in that the effects can be felt quickly. It can take weeks for antidepressants to have an effect and in some people they simply don’t seem to work. Talk to Others. A severely depressed person may not look after himself or herself. They may try to stay in bed all day. They may not wash, eat, clean their teeth, cook or clean up. Their depression isn’t your problem and while you may feel obliged to do more and more it’s better to liaise with others (relatives, healthcare workers) over what’s feasible and best for your friend. Spot Triggers. If your friend suffers with repeated depression it may be possible to identify the triggers that start an episode. This is when your intervention can be very helpful by encouraging them to seek help before things worsen.